Love from the Kitchen: Tuesday's Table for December 3, 2013 - And a *Giveaway*!! Tuesday's Table for December 3, 2013 - And a *Giveaway*!! Thanks to everyone who linked up last week. 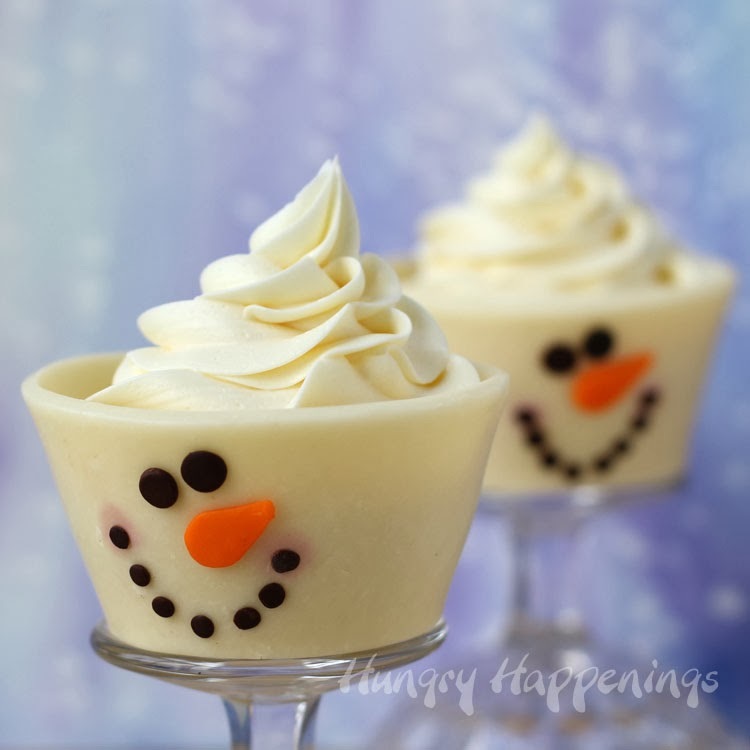 For this week, I chose Hungry Happenings' White Chocolate Snowmen Edible Cupcake Wrappers! as my feature. These are seriously adorable. I love snowmen - we even have two rooms decorated in snowmen for the holidays. And they look super-yummy. You need to head over and see her site.! #68- Crystelle Boutique!</drumroll> Please send me your mailing address and I'll get that out to you right away. Thanks for hosting Susanne. Have a great week. Thanks for the awesome party. Also thanks for being my Co-Host for my 1 year birthday celebration. I'm excited. So glad to have you with me. I'm following you by all avenues and am happy to be a part of your hop.